Former Head of Channel Development at White Oak UK, Rob Hulse, has joined Just Cash Flow PLC as Chief Commercial Officer. He is looking forward to putting his strategic insight, growth ambitions and 15 years+ SME finance expertise to work on this new challenge. professional channels as we look to really accelerate growth following prior years of investment. “I believe our range of flexible finance facilities is exactly what UK SMEs need with the emphasis being on 'flexibility'. The vast majority of UK lenders provide SMEs with traditional fixed term capital repayment loans - a one sized fits all approach is common. This works well if money is needed to cover expenditures with near imediate return on investment, or for predicted liabilities and costs where it smooths cash flow. However, when it comes to assisting with challenges to cash flow, businesses need more flexible options such as delayed debtors, opportunistic investment and seasonal trading etc., where return on investment isn’t necessarily clear or evident. “One of my initial focuses is on talking to existing and potential customers about the finance needs of businesses and, additionally, what other products and services they would value from Just Cashflow. We receive extremely positive customer feedback with 100% of the customers we survey saying they would recommend us. They really rate our range of flexible finance facilities so the main challenge is to use all available channels to spread the word." Follow @justcashflowuk on Twitter for more like this. Just scroll through the timeline for all our news and video. The decision highlights the inevitable shift of SMEs turning to alternative lenders for products beyond capital, as traditional banks move focus away from the small business sector. Just Cash Flow PLC Director, John Davies, has been appointed as Deputy Chair to the Emerging Payments Association Advisory Board. Since June 2016 we have asked each and every new Just Cashflow customer to take part in our survey. And importantly: 100% of customers surveyed said they would recommend us. FinTech lender bucks market trend with an indicative ‘A’ rated investment option. Since June 2016 we have asked each and every new Just Cashflow customer to take part in our survey. And importantly: 99% of customers surveyed said they would recommend us. Good Business Is All About Developing Good Relationships. There are many factors that contribute to developing and growing a business; having enough funding to support the business in its growth phase, managing day to day cash flow and employing the right people, to mention just a few. JLG Group PLC, parent company of alternative lender Just Cashflow PLC, has become the first alternative lender to become an Associate Member of the All Party Parliamentary Group (APPG) on Fair Business Banking. The Association of Alternative Business Finance (AABF) has said that it shares some of the concerns raised by the Treasury committee with regards to the Financial Ombudsman Service (FOS) handling more SME complaints. We've achieved ISO 9001:2015 global certification and ISO 22301/2012 Business Continuity Management certification. Since June 2016 we have asked each and every new Just Cashflow customer to take part in our survey. And importantly: 99% of customers surveyed said they would recommend us to a friend. Just Bridging - Best Commercial Property Lender in the Corporate Live Wire's 2017 Finance Awards. We've been named as "Best Cash Flow Lender" in the annual Trade Finance Global Excellence Awards by Trade Finance Global. JLG Group PLC is one of the seven founder members of the newly launched Association of Alternative Business Finance (AABF). Since June 2016 we have asked each and every new Just Cashflow customer to take part in our survey. And importantly: 97% of customers surveyed said they would recommend us to a friend. The parent company of Just Cash Flow PLC has become a benefactor of 'Project Rome', a campaign from the Emerging Payments Association (EPA) lobbying for fairer access to payments infrastructure through FinTech providers. JLG Group PLC, the parent company of Just Cash Flow PLC, has become the first alternative commercial lender to become an Associate Member of the British Bankers' Association. Is Fintech taking banking back to the good old days? John Davies was interviewed by Credit Collections & Risk magazine. John Davies was interviewed by Start Your Business magazine. John Davies, Director of Just Cash Flow PLC, talking at the launch of The Fintech Book. Just Cashflow on how FinTech can transform how SMEs receive finance. We are the first European alternative lender that allows customers to manage their finances on the go. Corporate LiveWire 2016 Finance Awards. 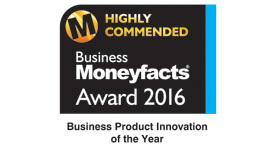 We are excited to announce that we have been nominated for two awards by Business Moneyfacts. We've become Europe's first alternative lender to provide card access to business finance for use at point of sale. A view supported by John Davies. John Davies was interviewed by Fortune Hunter TV which was aired on SkyTV. He talks about raising money and how is is more difficult and more expensive it is to raise money when you need it. Ahead of this year's South West Expo, Total Swindon caught up with the CEO of Just Cash Flow PLC, and this year's main sponsor, John Davies. John Davies, director of JLG Group PLC, was interviewed by This Is Money. He shares his top tips on what you can do to make your business seem more appealing to lenders - so that your application for a loan is more likely to be accepted. The partnership with JLG Group PLC, gives Ablrate investors instant diversification and a simplified, more secure process of lending. ...as National Sales Manager just 10 months after joining Just Cashflow. According to research conducted by Just Cash Flow PLC. Fewer UK businesses would fail if owners had more knowledge of the world of business prior to taking the plunge and setting up themselves, according to two thirds (63%) of SME owners. This lack of knowledge and awareness about the alternative finance sector is one of the keys reasons Just Cashflow is sponsoring the Women In Business Expo in Birmingham on 19th June. Just Cash Flow PLC and FundingKnight recently joined forces at the 2015 Accountex show. The key to unlocking billions of pounds in UK property professionals' portfolios is being provided by Just Cash Flow PLC at the NACFB Expo conference on 17th June. Toni Evans, Head of Engagement, says"I read with interest Sajid Javid's first speech as Secretary of State for Business, Innovation and Skills discussing..."
Alternative lenders such as Just Cash Flow PLC are in a privileged and responsible position as we get to see the plans of businesses keen to invest and grow. One of the first questions Just Cash Flow PLC asks a prospective customer is have they approached their Bank. However, it is clear that alternative lenders provide a much faster solution and are well positioned to serve and understand small businesses. Innovative link up boosts funding for UK Businesses. UK businesses keen to grow and expand are set to benefit from an innovative linkup between leading P2B crowdlending platform FundingKnight and alternative finance provider Just Cash Flow PLC. NACFB Commercial Finance Expo 2015. This year Just Cashflow is one on the shows main supporters, is sponsoring the delegate registration and can be found at stand number C11. John Davies, claims that brokers could be missing out by not effectively marketing their expertise to local businesses. We have passed the £5 million lending milestone before reaching our first anniversary. Two new BDMs have joined us. Welcome to Mark Harrison and Ron Whitcher. John Davies on the importance of guidance from ICAEW and GrowthAccelerator. John Davies Interviewed by Business Connections. Interviewed by Britain Means Business. As industry debates circulate about the value of the human touch versus technology, commercial lender Just Cashflow has proved its positioning on business relationships by prepping to recruit 8 more Business Development Managers. For Professional Firms to cover late payment of fees to them OR for their clients so that they can pay their fees on time. "Too many small businesses don't survive"
Just Cashflow's twitter interview with Bizitalk discussed whether a national qualification for company Directors should exist? So you want the cash? Just Cash Flow PLC has added a new product to its expanding portfolio of facilities designed to help UK businesses fund their growth. After passing £1 million in lending this June, Just Cashflow has now accelerated through the £3 million milestone in what is usually a quiet month for the industry. Just Cash Flow PLC has announced it is celebrating its first million pound milestone, after only soft-launching in March.